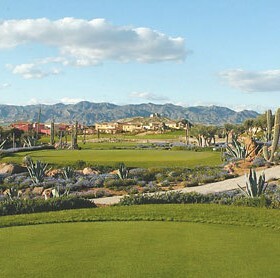 The Indiana is the first and only desert golf course in Europe and has been built to the full USGA specifications and high quality standards of the now famous desert courses of Arizona and California. 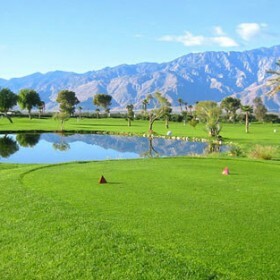 The fairways have been kept generous to ensure that the less expert player can enjoy and improve their game whilst absorbing the awesome landscape and views that encompass the course. 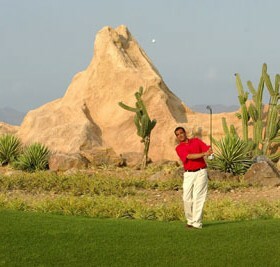 On the other hand, every hole has features which can be brought into play; the springs, watercourses, dry river beds and the rock and cacti areas are strategically located .The bunkers are strategically placed to test the skills of even the most accomplished golfer particularly from the championship tees. The course is a good mixture of holes and is always kept in superb condition with the fairways being immaculate and the greens being some of the finest you will play. Lunch and Diner are available from the well restaurant and a wide selection of wines, spririts and beers are available from the bar. The club shop supply buggies and clubs for rental and always remember to wear the soft spikes as they treasure the standard of the greens and metal spikes are not allowed.